From pharmaceuticals, paints and coatings to metal components, catalysts and batteries, particles and powders underpin the performance of a vast array of every day products. Manipulating the form and functionality of these industrially vital materials is essential for commercial success and relies on a sound understanding of their properties. Relevant and effective analytical solutions drive progress in every sector, from the earliest stages of development, through to QC and the consistent delivery of high-quality products. This whitepaper showcases the analytical technology that Micromeritics offers to support the control and engineering of powder performance, from the structure of individual particles through to the flow of bulk powders. The aim is to provide an overview of how different techniques work, the data that can be generated and its value in industrial applications. A good starting point for an assessment of the characterization tools required for particles and powders is a clear understanding of the difference between the two. A particle is usefully described as a small portion of matter, with this paper limited to the discussion of solid-phase particles. Particles are individual entities with, for example, a defined size and shape. Powders, in contrast are more helpfully considered as bulk assemblies. They contain particles but also (most usually) air, and often moisture too. The properties of the particles that make up a powder directly affect its behavior, a classic example being that finer particles are usually associated with poor flowability. However, so too do other ‘system’ variables, such as the degree of aeration or consolidation of the powder. Furthermore, though there are established links between particle properties and powder behavior these are many and complex. It is not feasible, from current knowledge, to predict how particles with specific characteristics will behave as a powder. The analytical toolkit for powders therefore necessarily extends from particle characterization to bulk powder testing techniques. Particle characteristics are the levers manipulated to meet performance targets, but bulk powder properties often define some of these targets. Marrying the results from both types of analysis is often the key to success. To illustrate this point, consider the performance requirements of catalysts for fluid catalytic cracking (FCC). FCC catalyst particles are engineered to control the movement of reactant and product molecules, to exploit the chemical potential of the catalyst via optimized mass transfer. Surface area and porosity are critical and influence both activity and the relative speed of both desirable and undesirable reactions, thereby impacting selectivity; coking is a primary concern. Physical stability, the ability to resist attrition in the FCC, is vital and can be directly assessed through measurements of particle size. The demands of FCC catalysts in terms of their bulk powder behavior are equally exacting. Flowability, particularly when the powder is aerated to the point of fluidization, defines in-process performance, in the reactor and the regeneration unit. Density parameters, including bulk density, are highly relevant for process design as is the bulk property of permeability, given the fluidization application. Particle shape and surface topography data are helpful in rationalizing flow and particle behavior, including the phenomenon of clustering which is widely recognized as impacting fluidization performance and entrainment. The relative importance and mechanism of impact of each of the highlighted parameters is unique to FCC catalysts. However, in one combination or another this set of particle and powder properties describes and rationalizes the performance of most powder products. Techniques that enable the measurement of these properties therefore provide a powerful toolkit for the development and manufacture of powder products. Physical gas adsorption is the classical technique for quantification of the surface area of a solid and can also be used to characterize porosity. Parameters generated include specific surface area, total pore volume and pore volume distribution by pore size. 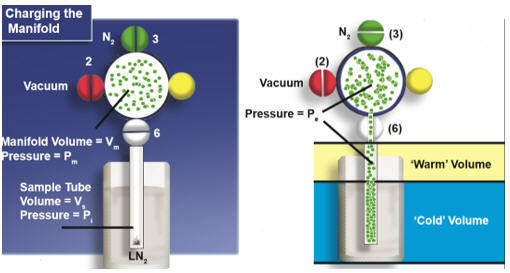 Figure 1: The amount of gas that can be physically adsorbed onto a sample is determined by precisely measuring the equilibrium pressure that develops when a charged manifold (left) is opened to the sample (right). A gas adsorption apparatus (see figure 1) accurately determines the amount of gas adsorbed onto the surface of a decontaminated sample as a function of pressure. Measurements are made at progressively increasing pressure to produce sequential points on an adsorption isotherm. Figure 2 shows what happens at a molecular level as pressure is increased and pores fill. Desorption behavior is characterized in a strictly analogous way by subsequently reducing pressure. Figure 2: As pressure increases more of the sample surface becomes covered with adsorbent molecules which also penetrate and fill the pores of the material. A gas adsorption isotherm is a fingerprint of the material, defined by surface area and by the size, shape and overall volume of accessible pores. By applying an appropriate mathematical model, it is therefore possible to quantify these characteristics from the isotherm generated. Surface area is most often calculated using the Brunauer, Emmett and Teller (BET) theory which generates values of total specific surface area, while pore size distributions are usually determined by the method of Barrett, Joyner and Halenda (BJH), using the Kelvin model of pore filling. Gas adsorption is the ‘gold standard’ technique for surface area measurement. It can be applied across a very broad measurement range that, critically, extends down into the micropore region of interest for the characterization of new materials including zeolites, activated carbons and metal-organic frameworks. The benign health and safety characteristics of gas adsorption in combination with the ability to measure through into the macropore size range, to an upper limit of around 300 nm (see figure 3), make it a flexible and appealing tool for a wide range of applications. 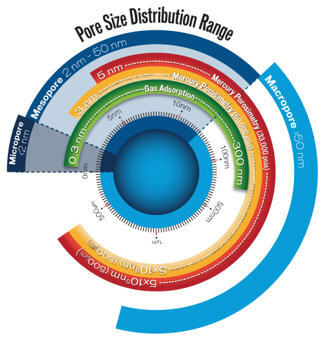 Mercury intrusion porosimetry, or more usually mercury porosimetry, quantifies porosity generating parameters including pore size distribution, total pore volume, total pore surface area and median pore diameter. It can also measure bulk and skeletal (or apparent) density. Figure 4: A mercury penetrometer measures porosity by forcing mercury into the pores of the sample at a precisely known pressure. 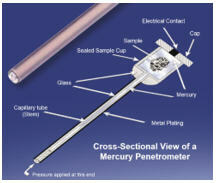 A mercury penetrometer (see figure 4) determines the volume of mercury forced into the pores of a sample as a function of pressure. Mercury is a non-wetting liquid (contact angle of >90o) which means it will only enter pores when pressure is applied. The relationship between the pressure required to fill a pore and its size is described by Washburn’s equation. Measuring the volume of mercury that intrudes into the pores at each applied pressure determines the volume of pores in any given size class. Mercury porosimetry can be used to generate porosity data for solid samples as well as powders and offers a broader measurement range than alternative techniques, with measurement capabilities extending well into macroporous region. Depending on applied pressure the measurement range can extend down to pore sizes as fine as 3 nm, through to pore sizes in excess of 500 µm. From a practical perspective, mercury porosimetry is a relatively fast measurement. There is no requirement for sample degassing ahead of measurement and characterization is driven by the application of pressure, rather than proceeding by the slower process of surface adsorption. Pycnometry measures the volume of particles, to determine true (absolute) and skeletal (apparent) density. Solid phase gas pycnometry can be used to measure the envelope density of objects or larger samples (see figure 17). Figure 5: A gas pycnometry system showing the sample chamber on the left charged with sample and displacement gas; the volume of the sample is determined by expanding the gas into the second chamber. Gas pycnometry is a displacement technique and one of the most accurate and reliable methods for determining volume. Figure 5 shows a schematic of a gas pycnometry apparatus with the sample sealed into a sample chamber of known volume. Measuring the pressure of the displacement gas upon filling of the sample chamber, and then again following discharge into a secondary chamber of known volume, enables calculation of the volume of the sample using the Ideal gas law. For particles with no porosity, or where any porosity is inaccessible to the displacement gas then the volume measured is the total of all the individual particles. However, if the sample has open or accessible porosity then the displacement gas will penetrate the internal structure and the measured volume will be lower. The density measured may therefore be referred to as true (or absolute), skeletal (or apparent*) density depending on the structure of the particles. Both true and skeletal density are particle rather than powder density parameters (see figure 6 and Bulk Density measurement) and they are valuable tools for monitoring the amount of material present. Density is typically recorded as one of the primary properties of a material and often forms part of the material specification for a powder. Density data are also routinely used in process design. Reducing density, by, for example, increasing porosity, can be a valuable strategy for reducing material costs though in some applications are optimally met via maximized density. Figure 6: While mass is easily determined, the volume of a sample can be defined in a number of ways, giving rise to multiple density metrics. *Note: where apparent density is measured using a displacement or intrusion technique then it will often be quoted with reference to the technique or displacement media used. This is because the extent of penetration into the any porous structure, and consequently the volume measured, will be depend on the properties of that medium. An apparent density measured by mercury porosimetry will be numerically different from one measured by gas pycnometry, for this reason. The electrical sensing zone technique measures particle size data, determining the size, number, concentration and mass of particles present. Figure 7: Particles passing through the orifice of an electrical sensing zone instrument produce an electrical pulse which can be analyzed to generate particle size data. In an electrical sensing zone measurement, sample is dispersed at a low concentration in a compatible electrolyte solution. 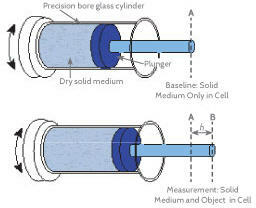 The resulting dispersion is placed in a sample cup that contains an electrode and a closed end glass tube in which sits a second electrode (see figure 7). Application of a partial vacuum draws dispersion through an orifice in the side wall of the glass tube, forming a conductive path between the electrodes. Particles passing through the orifice, typically one at a time, displace electrolyte and disrupt this conductive path producing an electrical pulse. The amplitude of the pulse is proportional to particle volume and can therefore be used to generate size data for the particle population. Industrial requirements for particle size analysis are therefore extensive and shared by multiple sectors. Unlike other particle sizing techniques, the electrical sensing zone method reliably reports particle size distribution data for samples containing particles with mixed and/or varying physical properties, with different or unknown optical properties, densities, colors and shapes. This is a useful attribute for many applications and one that ensures robust measurement in the face of process variability. 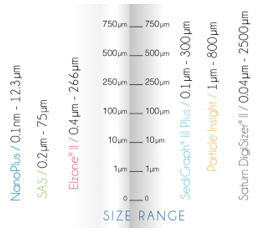 Furthermore, it is a high-resolution technique that measures across an industrially useful size range of ~0.5 to 250 µm (see figure 8). Due to the principle of measurement the electrical sensing zone method additionally provides accurate particle count and number concentration data. A number-based technique it offers high sensitivity to fines and over-sized particles but because measurements are based on the volume of liquid displaced, these distributions are easily converted to volume-based data with no mathematical modelling. The simultaneous measurement of concentration is useful for certain applications and supports, for example, the detection of settling or dissolution in a dispersion. 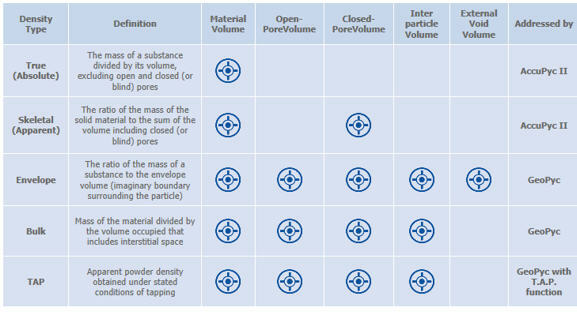 Figure 8: A major factor when it comes to selecting a particle sizing technique selection is the required size range. X-ray sedimentation measures particle size and particle size distribution data on the basis of mass. 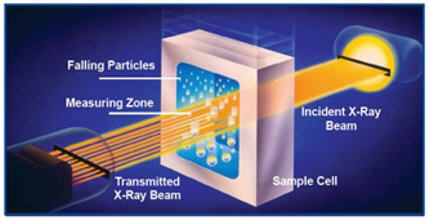 Figure 9: X-ray sedimentation is based on two well-understood physical phenomena – sedimentation and photon absorption. 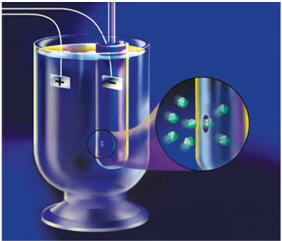 In X-ray sedimentation, the sample is dispersed in a suitable liquid medium then pumped through a sample cell as shown in figure 9. The attenuated X-ray beam is measured and agitation is then ceased to allow particle settling. X-ray intensity is monitored throughout the settling process as progressively finer particles fall through the measurement cell. Particle size is determined from measurements of settling velocity, by applying Stokes law, while the relative mass concentration for each size class is determined from X-ray absorption data using the Beer-Lambert-Bouguer law. The considerable value of particle size data has been discussed previously (See Gas Adsorption and Electrical Sensing Zone technique). The technique of X-ray sedimentation is underpinned by two well-understood physical phenomena – sedimentation and photon absorption. The simplicity of the laws describing these behaviors make data interpretation fast and straightforward, with no reliance on optical properties or extensive modelling for size determination. Furthermore, the technique covers an industrially useful dynamic range, of 0.1 to 300µm, with Stokes law universally applicable provided that the dispersant has a density less than that of the particles. Particle sizing by X-ray sedimentation is a well-established method and is especially suitable for applications where settling or sedimentation behavior is of interest. Static light scattering measures particle size and particle size distribution data on the basis of volume. Figure 10: The size of particles within a sample can be determined from the light scattering pattern produced when it is illuminated by a source of monochromatic light. In a static light scattering analysis particles are illuminated by a source of monochromatic, coherent light. This produces a light scattering pattern, with light intensity varying as a function of angle to the incident beam depending on the size of particles present. Mathematical descriptions of the relationship between particle size, and scattering intensity/angle (Mie 1908, van der Hulst 1957) enable the determination of particle size data from the detected pattern. The precision of detection is therefore fundamental to high data integrity. Traditionally a photo diode array has been used for pattern detection but a high resolution, charge coupled device (CCD) offers higher resolutions. A CCD is a highly sensitive photon detector that, by converting light into digital data, captures precise digital representations of the scattering pattern. With a CCD detector, static light scattering becomes an extremely sensitive, high resolution technique for a wide range of particle sizing applications (see Gas Adsorption and Electrical Sensing Zone technique). A CCD detector static light scattering system offers exemplary reproducibility and can detect minute differences in particle size distribution that standard laser diffraction systems are unable to. By unlocking a greater understanding of different samples – by revealing the presence of larger particles, for example, or more precisely quantifying fines - this higher resolution can prove immensely valuable. Furthermore, static light scattering is a technique with a very broad dynamic range – from ~ 0.04 to 2500µm depending on instrument configuration – that covers the vast majority of applications of industrial interest. Dynamic light scattering (DLS) measures particle size and particle size distribution on the basis of light scattering intensity. Figure 11: The size of particles in a sample can be determined from fluctuations in the scattered light pattern they produce as a result of Brownian Motion. Fine particles dispersed in a liquid exhibit Brownian motion, moving at a speed that is directly proportional to their size. 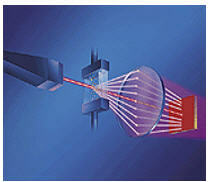 In a DLS analysis particles scatter light as a result of illumination by a coherent light source. Short-term intensity fluctuations in the light scattering pattern are detected to determine the speed of Brownian motion (see figure 11), from which particle size is calculated via the Stokes-Einstein relationship. 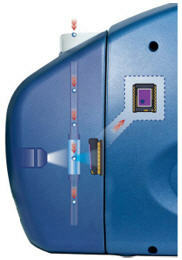 The detector set-up used is critical in determining the concentration and size range over which measurements can be made with Non-Invasive Back-Scatter (NIBS) and Multi-Angle-DLS significantly enhancing the utility of the technique. The range of DLS extends from below 1nm to 10 µm making this technique highly complementary to the others outlined for industrial particle sizing applications (see Gas Adsorption and Electrical Sensing Zone technique). The nano-region is an area of growing interest for many materials, nanocatalysts being a prime example; DLS is a rapid, accurate and repeatable technique for measuring such materials. The limited sample size requirement is a useful attribute when dealing with novel materials. Air permeability particle sizing measures average particle size and surface area. 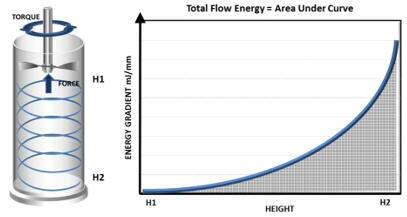 Figure 12: The size of particles in a sample can be determined from the pressure drop across a bed of known height, at a given flow rate. In an air permeability measurement, the pressure drop across a bed of packed powder is measured as air flows up through the bed at a known flow rate. By varying sample height and bed porosity, the specific surface area and average particle size of the particles in the sample can be determined, via the Carmen-Kozeny equation. This simple, traditional particle sizing technique is highly complementary to sieving, spanning the 0.5 to 75 µm size range where dry sieving is essentially impractical. It is particularly useful for applications where the principle interest in particle size is its impact on specific surface area (see Gas Adsorption). Modern instrumentation makes air permeability an easier to use, highly automated technique while generating data that are highly consistent with traditional ‘Fisher numbers’ which have long been used as a benchmark for particle sizing in a number of industries. Dynamic image analysis quantifies particle size and shape from images of individual particles. 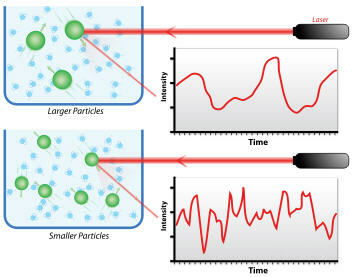 Figure 13: A dynamic image analyzer projects particle silhouettes on to a high-resolution camera to quantify particle size and shape. In a dynamic image analyzer (see figure 13), particles suspended in a carrier liquid flow through a thin flow cell through which light is transmitted. This optical set-up projects silhouettes of individual particles onto a high-resolution camera enabling the characterization of thousands of particles per second. Particle size distributions, and distributions of specific shape metrics are constructed from the resulting images. Particle size metrics are determined from 2-D projections of the particles, on the basis of equivalence with a circle. These include equivalent circular area diameter and equivalent circular perimeter diameter. Shape is described in terms of metrics such as circularity, form factor, compactness, convexity, fiber length, width and aspect ratio, and smoothness. These define both particle form and the topography of the surface. Because dynamic image analysis is a light-based technique it is also possible to differentiate and quantify particle opacity. As with the electrical sensing zone technique, dynamic imaging data are unaffected by the physical properties of the particles, so transparent or opaque particles can both be characterized, for example, even when present in the same sample. Similarly, dynamic image analysis is also a number-based technique, making it extremely sensitive to small changes in the amount of very fine or oversized particles. Scanning electron microscopy (SEM) provides high quality, high-resolution particle imaging for the analysis of surface topography. Figure 14: An SEM provides high resolution images by detecting the scattering behavior of electrons focused on the sample surface. In SEM, a focused electron beam scans across the sample of interest to provide detailed information about surface features. Electrons from the beam behave in one of two ways. Some are absorbed at the surface, resulting in the release of secondary electrons from the sample, while others are simply reflected (see figure 14). 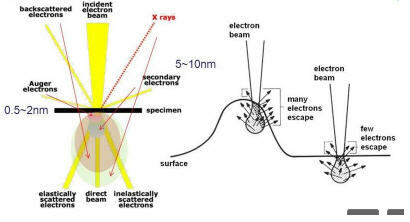 Some electrons penetrate deeply, depending on the properties of the sample, inducing the production of X-rays which can be analyzed to provide elemental analysis. The detection of secondary and backscattered electrons enables the construction of a high-resolution image of the surface of the sample, with magnification increased through the use of smaller scanning areas. SEM is a powerful and flexible tool for investigating surface topography at the sub-micron level and can therefore provide valuable insight into particle and powder behavior. It can be particularly helpful for rationalizing observed differences in flowability, which may stem from surface-influenced inter-particle interactions, for applications where flow properties are performance defining. SEM is also a powerful tool for troubleshooting. Bulk density, as its name suggests, is a bulk powder property, based on measurement of a volume that incorporates the interstitial space between particles in a sample. Compressibility quantifies how that volume, and consequently bulk density, changes when a powder is subject to an applied stress. Figure 15: Vessel splitting is an effective way of generating a precisely known powder volume and a level surface, for the accurate determination of bulk density. Bulk density simply requires the accurate measurement of the volume taken up by a known mass of powder (see figure 15). However, it is important to recognize that because measurements of bulk density take into account the interstitial space between particles they are a function of factors that change that space. Such factors include direct consolidation, vibrational consolidation and changes to particle size and shape, since these can impact packing behavior. Processing may leave the true density of particles unchanged but significantly alter bulk density and reproducible bulk density measurement relies on a defined sample preparation method. Compressibility is determined from measurements of density as a function of applied normal stress (see figure 16). Figure 16: Compressibility is determined by measuring how bulk density changes when a powder is subject to an applied normal stress and tends to be higher for more cohesive powders. Bulk density can also be measured under closely controlled consolidation conditions using solid phase pycnometry instrumentation (see figure 17). With this approach the sample is subjected to a precise tranverse axial pressure (T.A.P), as the sample is rotated and agitated. When sample mass is known, measurements of consolidation force and piston displacement distance generate values of density as a function of consolidation pressure. These values can be closely correlated with tapped density, the density that develops as a result of vibrational consolidation due to controlled tapping. Figure 17: Bulk density can be measured under closely controlled consolidation conditions using a plunger/cylinder arrangement with accurate force and displacement measurement, as used for solid phase pycnometry. Bulk density measured under controlled conditions is particularly informative for filling operations – die filling, for example, or packaging applications. These are often carried out on a volumetric basis, though the intent may be to achieve consistent mass. For this reason, bulk density often forms part of the specification for a powder product or raw material. More broadly bulk density can be useful in highlighting changes in packing behavior arising from variance in particle size, particle shape or other particle properties, or to elucidate differences in flow properties. Compressibility data is particularly helpful for elucidating how powders will perform when subject to consolidation/compression, during dosing operations, for example, in storage, and/or most notably in a tablet press. The permeability of a powder bed is a measure of the ease with which gas can flow through it. 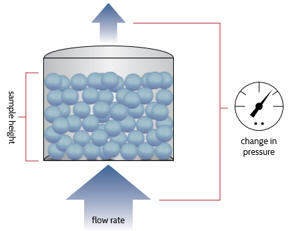 Figure 18: Permeability is determined by measuring the pressure drop across a powder bed as air is forced through it at a defined flow rate. Permeability is determined from measurements of the pressure drop across a powder bed when air is forced through it at a defined flow rate (see figure 18). Pressure drop is measured with respect to applied normal or axial pressure. As this pressure is increased the particles in the bed become more closely packed together and pressure drop increases. Darcy’s Law correlates permeability with air flow rate, bed height and pressure drop. Shear cell analysis can be used to rank the flowability of powders via metrics such as unconfined yield strength (UYS) and flow function (FF). It can also be used to quantify the strength of interactions between a powder and a material of construction via metrics such as a wall friction angle, which is used routinely in hopper design calculations. Figure 19: Shear cell testers measure the forces required to shear one consolidated powder plane relative to another. 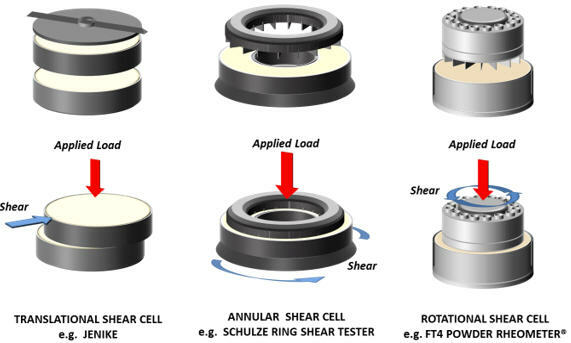 In shear testing a sample is consolidated in a disc or annular shaped ring under a known load. The force required to shear one consolidated powder face relative to the other is then measured at a series of lower applied loads (see figure 19). These data are mathematically analyzed via an extrapolation process to determine UYS and FF. Wall friction angle is determined from analogous measurements by shearing the powder against a potential material of construction. The flowability of powders is often a critical determinant of their processing and product performance, and by extension their value. Precise and relevant measurements of powder flow properties are therefore extremely valuable. Shear testing was developed specifically to generate the data used for hopper design and remains valuable for this application. More broadly it is helpful for evaluating how powders will behave in a moderate to high stress environment, particularly when transitioning from the static to the dynamic state. The technique offers more control over the experimental conditions applied during testing than other, simple USP methods, enabling more relevant powder assessment. UYS is an intrinsic powder property and has broad applicability for the ranking of powder flowability. Shear cell analysis measures UYS indirectly, via a process of mathematical extrapolation that can amplify the impact of measurement errors. There is therefore considerable merit in measuring this parameter using alternative techniques. In uniaxial powder testing, yield strength is measured directly by fracturing a freestanding, uniformly consolidated powder column through the application of a vertical stress. The technique offers high repeatability and reproducibility and much faster measurement times than shear cell testing. In powder strength testing, centrifugal force is applied to consolidate the sample and similarly to directly measure yield strength. Sample sizes are small, again measurement times are much shorter than for shear cell testing, and data can be produced at relatively low consolidation pressures. Dynamic powder testing enables quantification of the flowability of powders in a consolidated, moderate stress, aerated or even fluidized state via parameters including basic flowability energy (BFE) specific energy (SE) and aerated energy (AE). Figure 20: Dynamic powder testing quantifies flowability and can be used to characterize powders in a consolidated, moderate stress, aerated or even fluidized state. In dynamic testing, flow properties are generated from measurements of the axial and rotational forces acting on a blade as it is precisely rotated through a powder sample (see figure 20). BFE, a baseline parameter, is measured with a downward traverse of the blade which pushes the powder against the confining base of the sample vessel. It quantifies confined or forced flow behavior, in a low stress powder. An upward traverse, in contrast, measures SE, the unconfined flow properties that a powder exhibits when flowing under gravity in a low stress state, during gravitational filling for example. Dynamic testing enables direct assessment of the response to air, since measurements can be made while air is passed through the sample, at a known velocity, up to the point of fluidization. Such measurements generate values of AE. The flexibility to tailor test conditions to simulate the process environment enables quantification of the impact of consolidation, flow (or strain) rate, and a range of other process-relevant variables. Dynamic testing methods are well-defined, and instrumentation is highly automated giving the technique high repeatability and reproducibility, attributes that are lacking in many traditional powder testing methods. 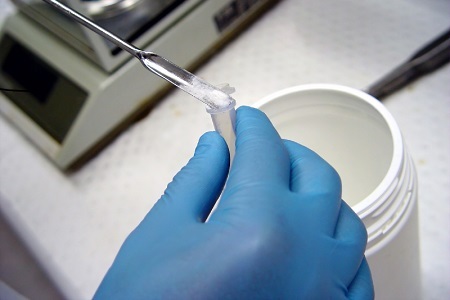 Dynamic testing is the most sensitive and differentiating bulk powder testing technique available and is able to differentiate samples that other techniques, including shear cell analysis classify as identical. This makes it a powerful tool from R&D through to QC. The ability to directly quantify response to air is a particularly valuable attribute since even in processes where aeration is not intentional the entrainment and/or loss of air can transform powder flowability, directly impacting manufacturing efficiency. The metal powders used for AM necessarily meet demanding flowability specifications. A typical requirement is for materials that will feed freely at the required rate and spread across the build platform to form uniform layers just tens of microns thick. As production rates increase, the demand for optimal flowability intensifies; maintaining acceptable flow properties as powders are recycled is crucial. Particle size, surface topography, and shape influence the flowability of AM feeds and define the packing behavior that underpins formation of the powder bed; bulk density measurements quantify these effects. Laying down an efficiently packed bed ensures that melting/sintering proceeds effectively and helps to ensure a finished component with the required porosity. Particle size and shape data also elucidate the impact of processing on metal particles directly supporting the development of realistic recycling strategies. The kinetics of sintering, the process that fuses particles together, are influenced by particle size, true or apparent density, specific surface area and by any porosity in the powder particles. Specific surface area also impacts interactions between a metal powder and its environment, specifically the rate of oxidation, which can compromise powder quality. When it comes to the finished component, porosity is typically a defining parameter because of its impact on strength to weight ratio. The particle size and surface area of active ingredients in an OSD influences critical quality attributes such as dissolution profile, directly impacting the bioavailability the drug. The particle size of components of a tableting blend also affects processing behaviour – flowability, for example, propensity to segregation (which is also a function of density) and compaction performance. Particle shape is similarly influential and can be particularly significant with respect to blending performance. Surface area and topography can play a significant role in flow and bonding behaviour. Dynamic measurements of flowability quantify segregation behaviour, which must be rigorously controlled to meet content uniformity standards. They also correlate directly with blending and die-filling performance. Studies of permeability are additionally helpful in determining behaviour in the press, since the efficient release of air during die-filling helps to avoid capping and lamination in the finished product. Low compressibility ensures efficient transmission of the punching force during compression and the production of a stable, homogeneous tablet. The granulation of tableting blends prior to compression – by roller compaction or wet granulation - improves flow properties and safeguards homogeneous distribution of the active. Density measurements support optimization of the compaction process aiding the production of granules with a solid fraction that will ensure effective compression to a quality product. Flowability measurements are equally valuable for assessing the quality of granules and directly support scoping of the design space for all granulation processes. Critical quality attributes such as tablet hardness have been directly correlated with the basic flowability energy of granulated tableting blends. The porosity of active ingredients and excipients can be helpful in predicting their behaviour in a formulation, but it is porosity measurements of the finished tablet that are of most value. These can be correlated with critical quality attributes such as hardness and stability and impact the ease with which liquid can penetrate, thereby influencing disintegration and dissolution behaviour.